ffmyheels: Special Day with Madison. Today was a "special day" with my only niece, Madison. 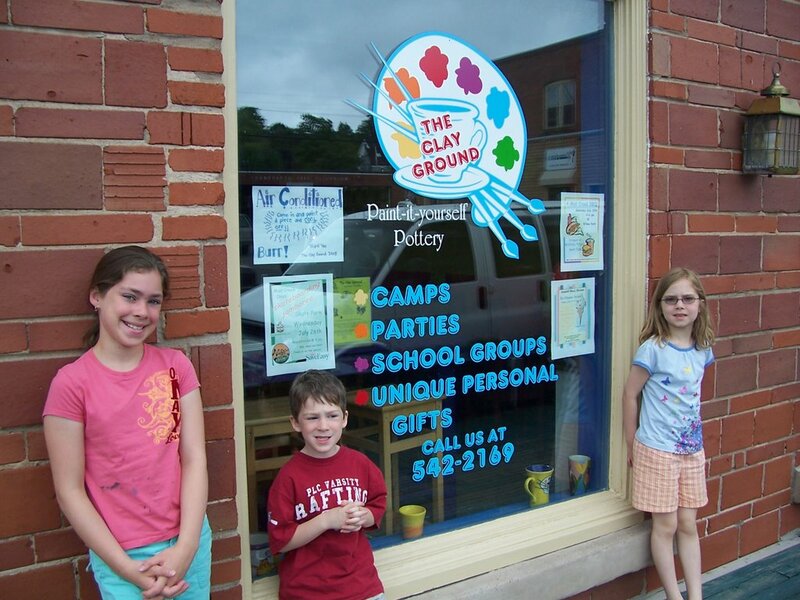 We picked her up at 10:30 and first stop was the "Clayground" where the kids each painted a piece of pottery. Tyler chose an 8x8" tile. He painted Saturn, the galaxy, a vortex and Luke skywalker on his tile. Hunter chose an 8x8" tile and painted flowers, border and dots, along with a big "H". 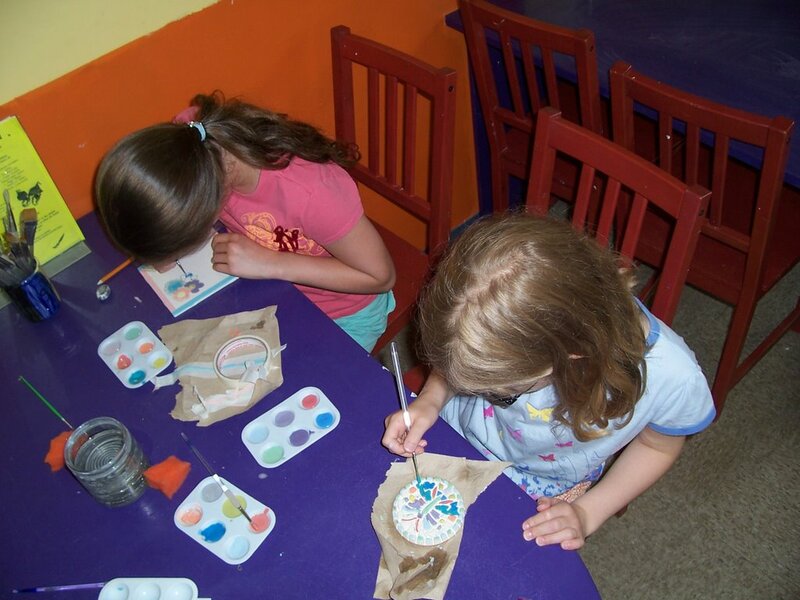 Madison chose a butterfly coaster and painted a kaleidioscope of colors. It was beautiful. Perfect thing to do on a rainy day. It poured cats and dogs all day. Wet as all get out. Then we hit a candy store and the Dollarama for some perfect kid fun.